When I think of Pre-Raphaelite art, the first thing that comes to mind is large jewel-toned canvases dense with color, light, and beauty. But the sketches - some preparatory, some casual - as well as smaller works in watercolor, often give us a glimpse into more intimate moments and into the artistic process itself. A collection of 60 of these works, including sketchbooks, scraps, and even backs of envelopes, is on view now through the spring of 2017 at the Tate Britain. From the website: "The preparatory sketches and more finished works on paper on view in this room explore personal dramas, tense and tender encounters sometimes in private settings. 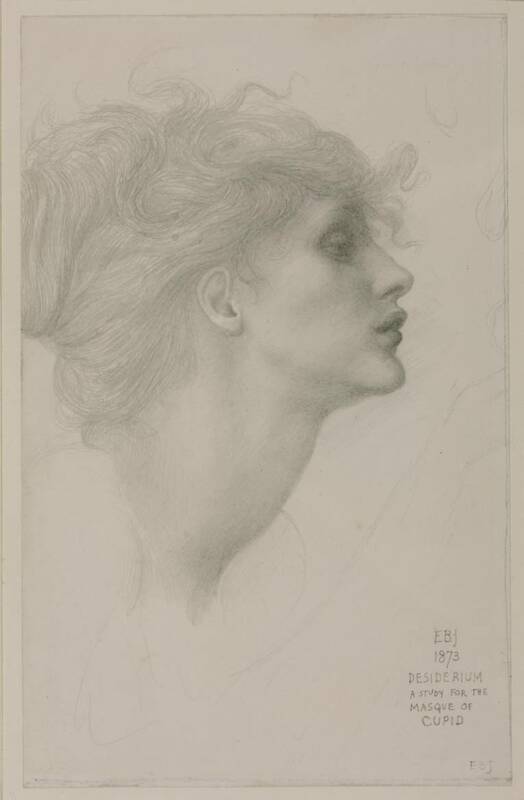 The detailed studies reveal another kind of close encounter between artist and subject: the long, intimate observation that underpinned Pre-Raphaelite ‘truth to nature’."